Peterson 106 - Irish Harp series. I figured it was time to own a classic, straight billiard. I was very happy to find this one at my local tobacconist. Very nice! I've gotten to where I love stems of a different color than black. Me too. I like acrylic stems quite a bit. 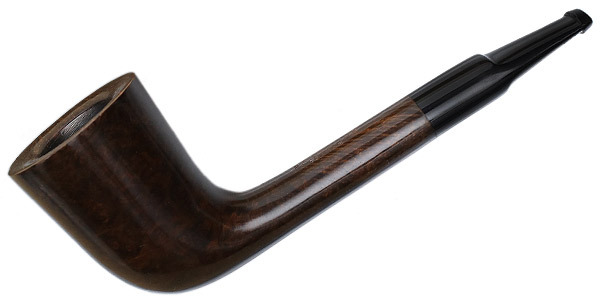 That’s a classic billiard, for sure. I have been really taking a liking to solid color stems other than black, not so much the swirly colors, I also love cumberland! That’s why I saw that C&D cob and had to have it, it’s by far the highest quality stem I’ve ever seen on a cob. Missouri Meerschaum, pair of Generals at &7.64 each. Not bad for the ultimate disposable veggie smoker - no tears shed when the corncob breaks/lost/toilet dunked,etc. In honor of Jocose, I bought a bent general cob and a Marcus cob. Almost bought a freehand, but it was too much. Bruyere St. Claude. The price seems almost too good to be true. With a 5% discount from smokingpipes.com I got the thing shipped for $41 and change. Most of their pipes seem to be in the $30-45 range. Pipe came in. Love it already. Light and perfect for clenching. An estate LJ Peretti. Smoking some Mac Baren navy flake. Now that is a nice lookin pipe. I like it! I’ve learned that I like bowls that are somehow curved on the top. Hadn't bought a pipe for awhile. Then this BriarWorks author showed up as an estate at Smokingpipes . . .
durangopipe wrote: Hadn't bought a pipe for awhile. I’ve been gunning for an author for awhile now, just haven’t pulled the trigger, need to save up, sell some tobacco or something. 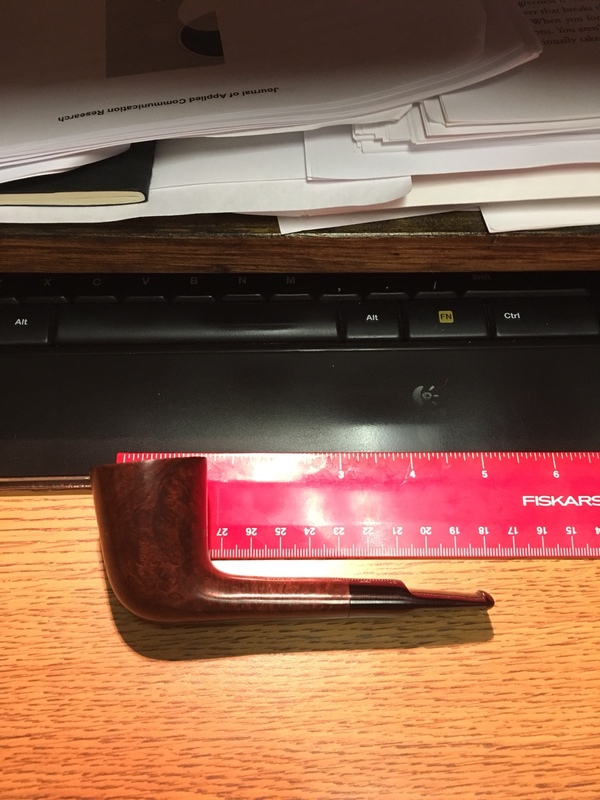 Indeed, I got that one in England too, but I needed the money and it didn’t quite catch my fancy, I like Savinelli’s author shape a little better. I am going to the cabin this weekend, I am taking the BBB with me as my only pipe for the weekend. It really is a great smoker...I need to watch for more BBB pipes. 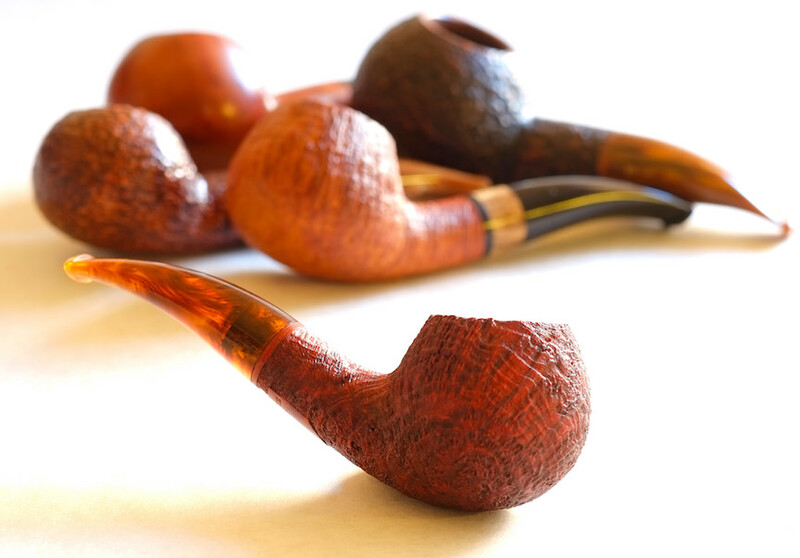 just starting, I have been searching for CHEAP pipes on flea bay. I picked up an old Dr Grabow Viscount bulldog the other day for $7.99 plus a little over three bucks shipping. It came with a pouch for the pipe and another compartment lined with what looks like surgical sheet rubber with a larger bead at the zipper for the tobacco. Looks great smokes great, I cleaned it some and soaked the stem in alcohol but the stem still needs polishing some.